You might be wondering what this cleansing method is all about! To be very precise, the Oil Cleansing Method, which is often shortened as OCM, is a beauty treatment that incorporates the method of cleaning your face with oil. Normally, 1/5 part of castor oil is mixed with 4/5 part of olive oil (extra virgin). This ratio however tends to change based on your skin type. It is a wonderful way of cleaning your skin from impurities without stripped the natural oils. 1. 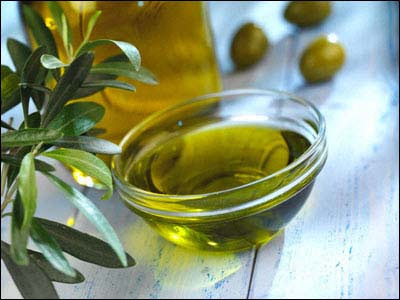 If your skin type is dry, you need to blend 90% olive oil with 10% castor oil. 2. If your skin is oily, you would have to mix 70% castor oil with 30% olive oil. 3. For balanced skin type, the standard proportion is 20% castor oil and 80% olive oil. While castor oil should remain constant, olive oil can be substituted with coconut oil, sunflower seed oil or jojoba oil. 1. Blend the oil as per the demands of your skin. 2. Keep hot water ready in a basin or by setting the sink button accordingly because you would need steam to be produced in course of the oil cleansing method. 3. Put some oil on your palms and rub it to make it warm. 4. Now, apply it on your face smoothly. 5. Massage with circular motions till your face is almost saturated with oil. 6. Now the wash cloth should be taken and soaked in the hot water. 7. Place the warm cloth on your face and rest awhile. Leave it on till the cloth cools. 8. Repeat this step again. 9. Wipe your face gently with the wash cloth for removing oil from your face. 10. If your face feels oily still, splash some warm water on your face. Pat dry. If the pores on your face feel dry, a drop of the oil blend can be massaged into your facial skin. Do not scrub! • Why oil for cleansing? There is a theory behind this treatment. Many people are afraid of applying oil on face. However, cysts, acnes, pimples and blackheads are formed not just because of excess oil; various other factors like hormonal changes, accumulation of dead skin cells and bacteria contribute to these facial problems. But, when soap is used for the cleaning the face, it robs the skin of essential natural oils. Automatically, the skin feels dry and in due course, the oil production is further boosted. On the other hand, when oil is used to clean the skin, the skin remains in a balanced condition while every kind of impurity is done away with. The oil that has hardened with dust particles deep within your skin pores comes out easily when you massage your skin with oil. This prevents blemishes and pimples while giving you a glowing and beautiful skin. You need not fear of excess oil deposits on face after an oil cleaning method. The warm water and the cloth dipped in hot water would remove it completely. • About the oil-blend: Castor oil is known to possess anti-inflammatory and healing properties. This thick oil with excellent cleansing properties should however not be used in larger quantities. It needs to be diluted with an oil that has a thin consistency. Both olive oil and sunflower seed oil are great for massage and relieving unnecessary dryness. • The steam: It helps in opening the pores. Thus, it becomes easy to remove the impurities and hardened deposits of oils. • You need not wash your face with face wash or soap before this method. The method itself is designed for cleansing. • It is very effective for make up removal as well. • It is a cost effective option and absolutely safe. • Try to relax while you massage your face. Practice deep breathing. Keep your mind calm. • Do it regularly but definitely not too often. • If your skin feels very oily after you do it initially, it is because the pores are being cleaned of excess congested oil that had accumulated all these days. This will be fine once the pores are cleaned. :woot: :woot: dint think abt the stress buster aspect though! yup I read this. Do u think I shud try this with an unhealed pimple on my face? Will it help ? very nice..shall do it today itself. The castor oil I have is the small orange bottle that i picked up from a grocery store. slightly scented. will this work? I use this many times in a month, once a week, but I use mixture of pure almond oil and olive oil, that I had bought from Ooty! So even I like this way of cleansing, it makes my skin so soft na! Okay! dats great Taps 🙂 but since both olive oil and almond oil have thin consistency, does the mixture cleanse properly? ..coz u generally need a thick sticky oil along with a thinner one to cleanse :haanji: the method is so easy and effective..right Taps? Yesss dear, it is very easy and effective for me, I love it very much, so you suggest castor oil? I have it will do that then, thanks a lot, accept my add request on facebook, ok? thats nice. me have oily skin too so its good to hear that it works well on oily skin too. :thanks: Sure thing Ankita! Castor oil has immense benefits…cheap but soooooooo good! Somreeta I use castor oil to massage my hair, I dilute that with almond oil and massage, then my hair becomes sooo black!!! Somreeta Use aroma magic anti dandruff oil, one of my cousin used it and doesnt complain dandruff any more! 🙁 But I think just coconut oil helps in softening the dandruff flakes and then they get removed easily on washing. For home remedy- try methi, its really good otherwise use a Selenium sulphide shampoo- its the most effective thing I’ve come across till now for dandruff. It stinks like hell but its really good! umm………wil try dat Taps! Ankita, coconut oil has not helped! actually, any oil base is a no-no for my scalp at present. Have tried methi with lemon juice..but its so difficult to remove from scalp..the crushed methi after soaking i mean…is methi powder good? Add very less methi and more water and grind it, then you wont have problem, and yes after using methi dont forget to use mild shampoo to remove stickiness due to methi, and yes methi powder is good, if you have food processer, then grind the methi seeds in to fine powder and then use! After using this technique if you steam na, no clogging pores , no pimples, me tried this amazing! i have an oil mine under my skin .. but this oil cleansing method does work. its not something i do everyday, but more like once or twice a week and it does clean your skin up. i can skip a clean up or two if i do this regularly..
ya..it works well for oily skin..really! i tried this method with castor-olive oil..din’t suit me i had zits ..not for oily skinned sensitive skin beauties ? Hi Rati, I lost my grandma on June 25.. i was very close to her….having a tough time taking control over my emotions and also, its difficult to see my mom suffer like this after losing her mom….i know its a part of life and everyone has to face this at one point or the other, but the grief after losing your dear ones is always something that u feel anew..no matter how many times you witness death of a family or a friend…every time it wrecks u from within in a whole new way….! Thanks Rati…. All I wish for now is that she may live happily with my dadu now after 6 years…..!